The importance of ethics has been highlighted time and again in the context of business. In the twenty first century government and a number of watchdog agencies have been keeping a keen eye on businesses that try to engage in unethical practices. While large businesses mostly act responsibly, sometime they too may feel inclined to indulge in unethical practices just for the sake of profits. From Nike to Walmart, all have faced fierce criticism in the past for unethical practices. From supply chain to HR management and in other areas too including marketing, there is a need for businesses both small and large to follow ethical practices. However, in this crowd of brands, some of the companies stand out for their ethical image. Starbucks is also one of them. It has always adhered to ethical practices and except a few petty issues has generally been hailed as a highly ethical and customer centric company. Ethics is an important focus area at Starbucks. It has helped the company acquire the image of a highly responsible coffee brand that deals with its customers, suppliers and employees ethically. Today, Starbucks is the largest coffeehouse chain of the world with the highest number of stores running worldwide. Its total number of stores as of 2017 was 27,339. Despite having grown as large, its focus on ethics has not reduced. Treat your suppliers equally whether big or small. Equality is an important principle that businesses must follow in their supply chain. Whether it is a major supplier or a small one, it is your responsibility to treat them equally and not to discriminate against them. While this creates trust, it also minimizes issues which could otherwise create difficulties. Treating them equally inspires trust and confidence and helps establish long term relationships. Empower your suppliers. As already mentioned, it is not just a give and take relationship and you must focus on creating an environment of empowerment for your suppliers. Empowering your suppliers can be highly advantageous for your brand. It makes them feel connected and strengthens your relationship with them. Train and educate your suppliers. Good businesses do not just care for themselves but they care for others too. They care for their suppliers and provide them the necessary training in various areas to protect and support them. From labor to law and CSR, there are several areas where your suppliers may require training and where training them may make them more productive and efficient. This will have a double benefit for you. Starbucks has followed all the above mentioned principles responsibly down its supply chain. It believes in helping the farmers it sources from and giving back to them by empowering them. Its success is linked to the success of the farmers who grow cocoa for it. In the process of sourcing, the brand focuses on both ethics and sustainability. Helping these farmers grow and thrive helps ensure sustainable supply of high quality raw material in the longer term. The Arabica coffee that Starbucks sources is different from the regular Arabica. It is found at the high altitude and Starbucks picks the beans when they are at their best. However, the farmers who grow them also deserve to be rewarded amply for their endeavour. Starbucks has formed a meaningful relationship with these farmers which is more than just a regular buy and sell relationship. Instead of using middle men who would seek their own profits, it contacts farmers directly and seeks to improve their lives by helping them be more self dependent. In several coffee communities around the world, this company has helped at least 1 million cocoa farmers. Traditionally, what used to happen is that most of these farmers would not get the right prices of their produce. Middlemen mostly took away the profit. To change this norm and to help the farmers who grew cocoa, Starbucks created its own team to source directly from the farmers. There is more about ethical sourcing at Starbucks. The farmers are also required to adhere to certain rules and remain committed to Starbucks policy of corporate citizenship. In the twenty first century, the larger businesses have seen the level of scrutiny against them rising. Criticism and accusations have led to companies from Nike to Walmart all implementing social responsibility programs. Starbucks too has not remained absolutely free from accusations. Elliot Schrage, in a 2004 article for HBR notes that when the anti globalization activists singled out Starbucks for trying to exploit the third world farmers, Starbucks took it as a challenge to its reputation and image. It launched a pilot programme that was going to change its relationships with the farmer forever. This programme came to be known as sustainable sourcing. As a part of this programme the brand started cultivating strong relationships with farmers (suppliers) that were environmentally and socially responsible. It created rewards to motivate such suppliers. 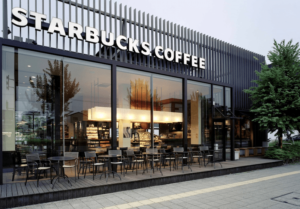 This strategy controlled the criticism against Starbucks and as a result the company made it a cornerstone of its global business and supply chain strategy. Starbucks had launched its preferred supplier program in 2001 which was intended to attract and reward the socially and environmentally responsible farmers. The company had set aggressive growth plan and these suppliers were a very important pillar of its growth plan. It needed suppliers who took the best care of their employees and lands. They were the most responsible farmers and suited the company’s growth strategy. Farmers had to apply to the program to become a preferred supplier. The company reviewers evaluated these suppliers on ‘twenty metrices’ to determine if they engaged in sustainable and environmentally responsible farming. The kind of land on which quality cocoa beans can be grown is not found in plenty and to retain the productivity of such lands, it is essential that the farmers do farming in a environmentally responsible and sustainable manner. The reviewers also ensure that the farmers are engaged in socially responsible practices such as have a good social image and take care of their labor force well. This ensures that the supply is not compromised due to labor or legal unrest. Starbucks rewards points on each criteria and the farmers earning the highest points are awarded higher prices for their produce. Starbucks has a very carefully planned supply chain strategy that is based on ethical sourcing and supply. The brand has set ambitious targets in terms of sustainable and ethical sourcing and has also achieved these plans to a very large extent. In 2017, the brand celebrated 99% ethical sourcing. By 2020, it plans to source 100% of its coffee ethically from its suppliers around the world. At the time, the brand had started its ethical sourcing plan, it was unsure if its gamble was going to be successful in the long term. However, it has been more than 15 years now and the brand has seen a lot of success in these years. It is clear that its gamble has paid off. A refreshing cup of coffee sourced sustainably from the best farms is just a sign that Starbucks cannot compromise on quality. In 2017, when its Japan and Europe based stores celebrated 99% ethical sourcing, the brand had proved that it could achieve its target ethically. What Starbucks is doing is actually good for the health of the brand, its suppliers as well as the customers and the environment. Managing 100% ethical practices down your supply chain is a major challenge before any big business. However, very few are able to do it as proactively and creatively as Starbucks. Human resource management is now a central area of business in the twenty first century that affects the productivity and efficiency of businesses. The larger businesses are especially very careful about their hiring and retention strategies and training their employees for maximum productivity. Well trained employees are like an asset and businesses have to care for their well being. Managing human resources ethically is a challenge but also an opportunity in this era. Some of the newly risen technology brands like Google, Salesforce.com and Facebook have performed very well in this area. Starbucks also believes in winning its employees’ trust by managing them ethically. Ethical HR practices result in higher motivation, low attrition as well as performance maximization. Employee satisfaction has become very critical to maximizing your organizational efficiency and productivity in the twenty first century. This century has brought a lot of competition. Even in the area of HR management, brands are in a race to remain ahead of others and hire and retain only the best. This is the situation in nearly every industry because organizational productivity depends heavily on the efficiency of the human resources. Starbucks has also focused on managing its Human Resources strategically and smartly as well as ethically. So, what does Starbucks do to keep its workers satisfied? Does it focus on worker engagement and motivation? Yes, it does. There are several perks of working at Starbucks apart from a great environment and work culture. It has received several honors and accolades in each of these areas including being one of the most ethical companies in the world, a Military friendly employer, a Military Friendly Spouse employer as well as one of the world’s most appreciated companies according to Forbes. These recognitions show that Starbucks is an attractive employer. So what does being an ethical employer mean for Starbucks? Does it mean paying its employees well and caring for their needs? Or does it mean giving them more than they deserve and helping them realize their dreams? It involves all that apart from creating an environment of trust, inclusion and security. Starbucks calls its employees partners and does everything required to help them live empowered lives. It believes in sharing its success with its people and has tailored its benefits and perks to suit the needs of its workers. Packages include base pay and bonus, benefits, retirement savings, stocks and perks. Benefits provided by Starbucks to its employees include health coverage, stock and savings, paid time off, parental leave, paid time off, education, commuter benefit and parters assistance. There are several kinds of perks offered to the employees as well that include coffee and tea mark out, in-store discount, recognition programs and several more benefits like on site gym, day care and dry cleaning. These perks and benefits are intended to keep the employees happy and satisfied but at the same time they are meant to keep employees engaged and retain them longer. In the 21st century, the companies are competing to keep their employees more satisfied than others. However, to build an environment and culture of trust and ethics is essential to make your employees feel truly empowered and satisfied with their jobs. Starbucks has created a truly inclusive environment in which its employees can collaborate with others and lead satisfied lives. It gives its employees special ethics and compliance training in order to help them do everyday business ethically. As a part of this program, the partners (employees are called partners at Starbucks) are trained to make ethical decisions at work. Employees receive awareness materials including Standards of business conduct to complete their legal and ethics training. They also have several communication channels through which they can report their issues and concerns. Customer relationships are an important area of focus in the twenty first century where businesses mind their customer relationships more than ever. It is because competition has increased manifold and every customer is valuable. Businesses want to retain every customer which is possible only by forming long term and strong relationships with them. Every customer is an aware customer and knows more about your brand already before you tell him. It is why fairness and integrity is important in customer relationships because if you try to be unfair the customers will know. It is why the best brands are always ethical towards their customers and would not treat a single one unfairly. Starbucks is already known as a customer centric company and focuses a lot on customer service and customer relationships. It is well known for its customer service and trains its employees in the area of customer relationships well. To inspire and nurture the human spirit – one person, one cup, and one neighbourhood at a time. The focus of its mission statement is also the customer – each individual customer. The reason is clear. Your business revolves around the customer and that is why he exists at the centre of the picture. In the recent few years, Starbucks has strengthened its focus on customer service and made it a core part of its business strategy. It is not just the employees in the front line but other employees two are provided ample training in this area. Even the baristas who would ordinarily just prepare coffee are trained in customer service at Starbucks so they can interact with customers well and keep them engaged. Customer service is just a part of the entire picture however because when you are concerned with ethics, you have to care for more than just hundred percent customer satisfaction. Apart from making them feel welcome, you have to make them feel included. To win a customers’ trust and to retain it is a difficult task but you can handle it with responsibility. Customer ethics are infact a matter of responsibility. Starbucks is a premium brand that charges premium prices of its products. It is not an average brand that can expect its customers to ignore its minor flaws. Customers expect a personalized treatment but more than anything they want transparency in relationships. If a brand can manage to be transparent in terms of its customer relationships, it is an ethical brand. People say that the Starbucks experience is a distinct experience in itself. The reason is that there are those thousands of baristas and other employees bearing the onus of providing the best customer experience on earth. Customer ethics are not a child’s play but you can still manage to be among the best if you try. Starbucks has excelled other food and beverages brand in this area and it has major benefits for the brand as well. When other brands are fighting to create strategies to win and retain customers, it is busy expanding its business to new regions of the world and reaching new customer segments. However, it HR has played a very important role in ensuring that every customer gets only what he expects. Starbucks is performing well in one other area too which is customer conversations. It has opened several channels for customer conversations and suggestions. Some of the key channels are its own website and the social media. Apart from the customer care number and email, people can also use its website to submit complaints and suggestions. Facebook has also proved an effective medium for Starbucks to communicate with its customers and handles customer complains and issues proactively there. Customer ethics matter in this era because of their direct relation to your brand image and affect how much your customers love you.